It’s the Color Challenge over at Splitcoast today. The colors are SU! Bashful Blue, Raspberry Ripple and Primrose Petals. The Bashful Blue I have…the other two…not so much. So decided to use some similar colors in the new Distress Paints. They showed up in the mail this a.m. and I could hardly wait to put them to use! I also received my four free stamp sets from Paper Smooches that I won recently while doing the Online Card Classes Clean & Simple Cardmaking 2 class. Aren’t I the lucky one? See you soon with more! Gorgeous! I love how you used the paints on this card. This looks fantastic! Lee Anne this is so beautiful! Thanks for sharing. This looks absolutely marvelous! 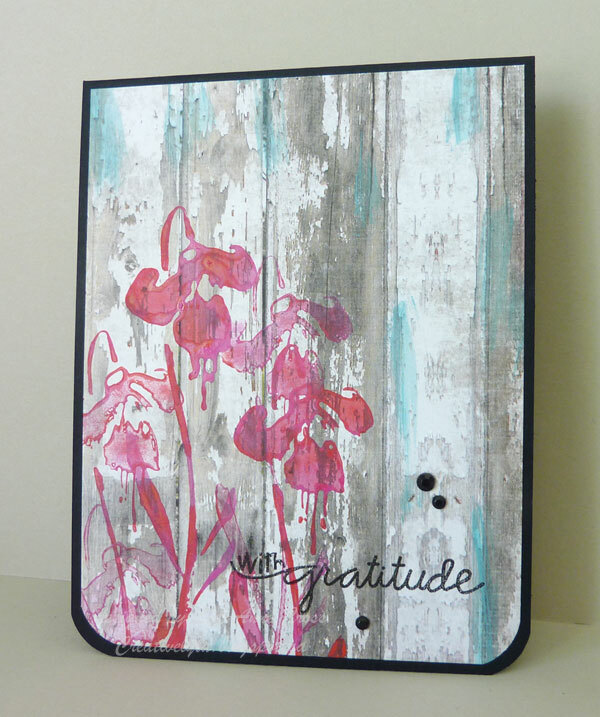 Love the color combo and the way you used the paints!